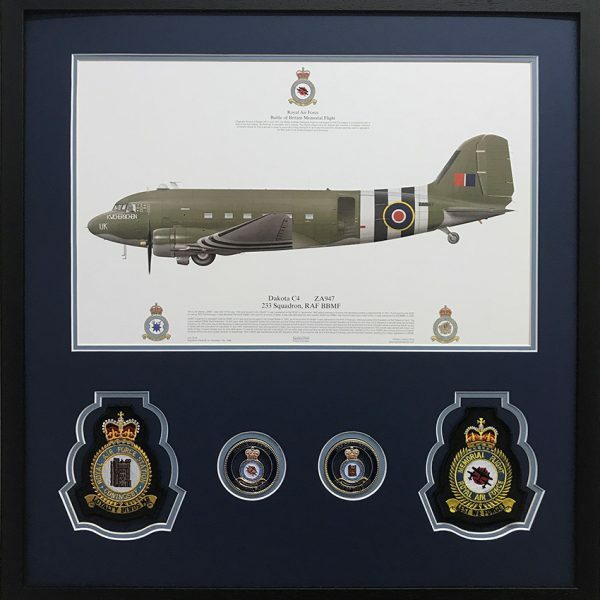 BBMF Dakota Squadron print framed with RAF Coningsby patch, 2 x Coningsby BBMF coins (reverse and obverse of the same coin), RAF BBMF patch. Double mounted. Sealed unit. 22mm black wood frame.